Alright, who’s ready for yet another real world consequence at the behest of Pokémon GO? Only, unlike the last time when the players were lured in and robbed by a gang of digital MacGyvers or found a dead body post-tragedy, it was the players who used the game to spy on a child molester who also happened to be wanted for attempted murder. Now, before you try anything, remember: these two players are marines. You’re probably not. However, Seth Ortega and Javier Soch were both playing Pokémon GO in a local park in Fullerton, CA, as is quickly becoming the social norm in a park, and they spotted a man inappropriately touching and speaking two different groups of mothers and their children. While pretending to play the game, they also dialed the police and requested their presence at the scene of the crime. The marine kept an eye on the man until the police arrived, and the suspect soon found himself arrested for “child annoyance.” However, after his arrest, it was discovered that he had an outstanding warrant for attempted murder. 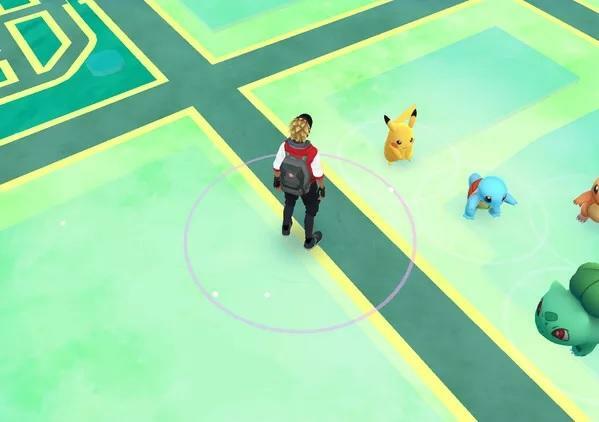 So, while some are using Pokémon GO to lure in victims, it might be yet a new way to lure in criminals as well. Pokémon GO; because who needs law and order? !